Looking for Glice® synthetic ice Slapshot station at your venue? The Glice® Slapshot™ station comes in a full set and beautiful integrated finishing with Glice® synthetic ice, Glice® dasherboard with durable transparent panels and perfectly embedded ice hockey shot speed radar and display. The slapshot is the most powerful shot in ice Hockey. 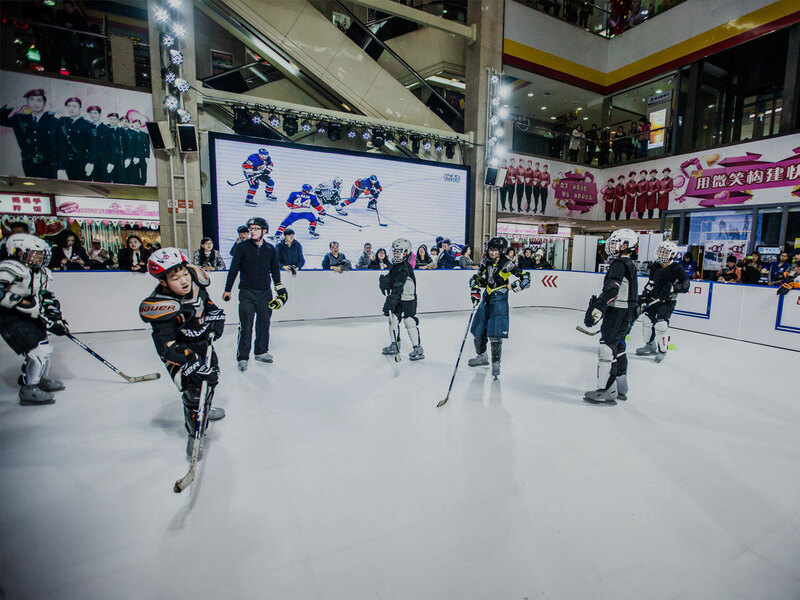 Follow big companies like Redbull who use Glice® Slapshot station to make events fun and competitive.